At the Concorso d’Eleganza Villa d’Este 2017, currently taking place on the shores on Lake Como in Italy, the BMW group is presenting its vision of zero-emission urban mobility on two wheels in the form of the BMW motorrad concept link bike. 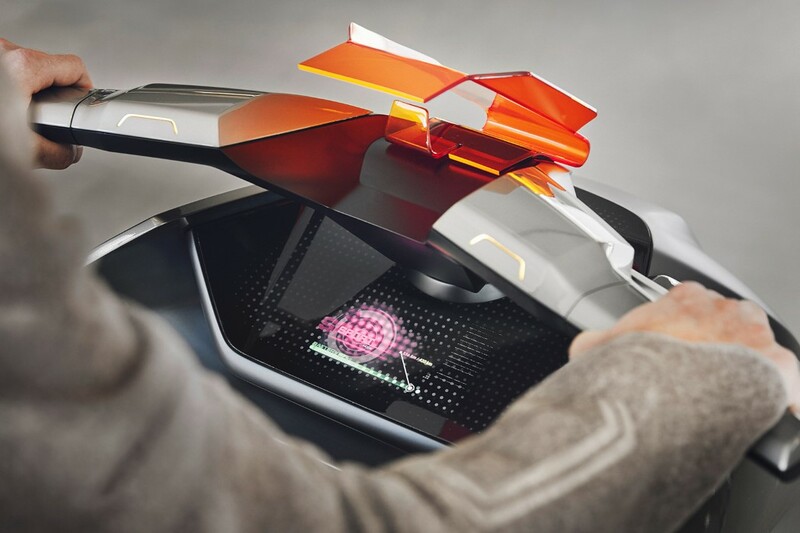 Taking influence from the BMW motorrad vision next 100, the design study sets out to unite digital connectivity with the demands of urban mobility on two wheels. The electic drive motorcycle concept wants to move beyond established conventions with regard to both design and technology. 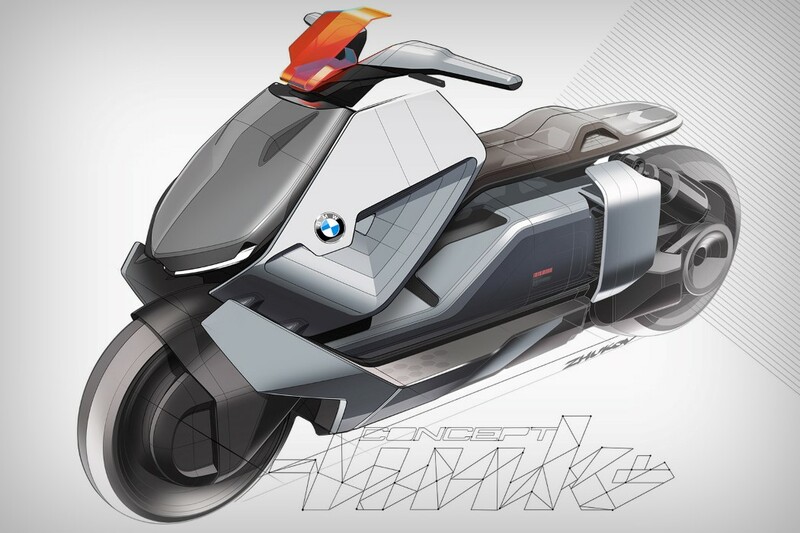 The special character of BMW’s concept bike becomes clear right away thanks to the completely new design language. Its low-slung, stretched body and flat seat, combined with the diagonally rising front section, create a modern yet distinctive silhouette. Clear lines, large-area surfaces and precise shapes emphasise the state-of-the-art look, with a two-tone colour design reinforcing this further. The colours are all oriented diagonally, to underline the dynamic potential of the ride. The two iconic LEC front lights, clear-cut layout and slim contours spruce up the front of the bike with a touch of futurism. Since BMW have chosen to deliberately showcase the technology used as part of the design package, the side panels don’t completely cover the side section at the rear. 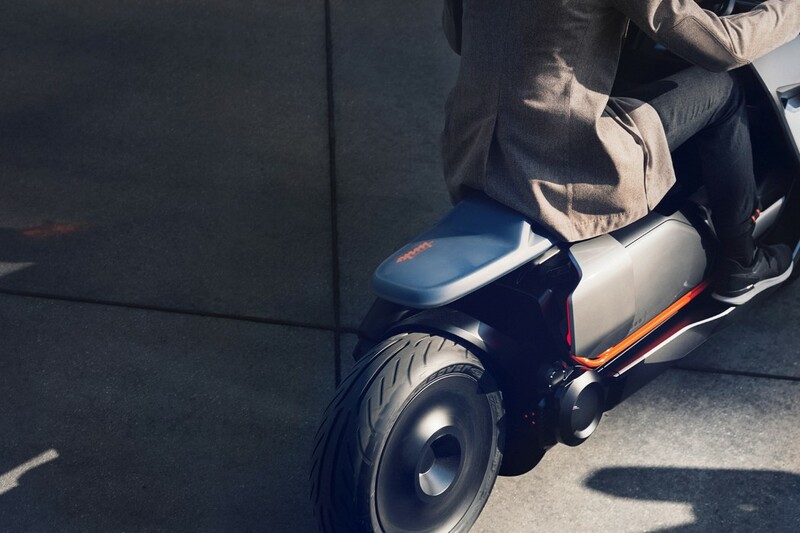 Instead, they stretch across the vehicles side like little wings, leaving technical elements such as the drive unit, cooling ribs, single-sided swing arm and tooth belt clearly visible. “The bmw motorrad concept link stands for a new understanding of urban mobility,’ explains Edgar Heinrich , head of design of BMW motorrad. “It links the digital and analogue world and places the focus on the rider and his mobility needs. In the way it links functionality and digitalisation, it performs both as a means of transport as well as a communication device.” “The BMW motorrad concept link is not based on today’s concepts, but rather meets the basic functionality needs and the digital reality of today’s users,” adds Alexander Buckan, head of vehicle design at BMW motorrad. “The technical realities of electric drive – such as the flat energy packs in the underfloor and the compact drive on the rear wheel – allowed us to create a highly distinctive design which shapes a new segment.” Also don’t forget to check the other BMW bike we’ve told you about some time ago – Old-Styled Extraordinary BMW R50/3 By Titan.